People often ask about the origin of a restaurant concept. “What is the story behind it? What does the name mean?”. 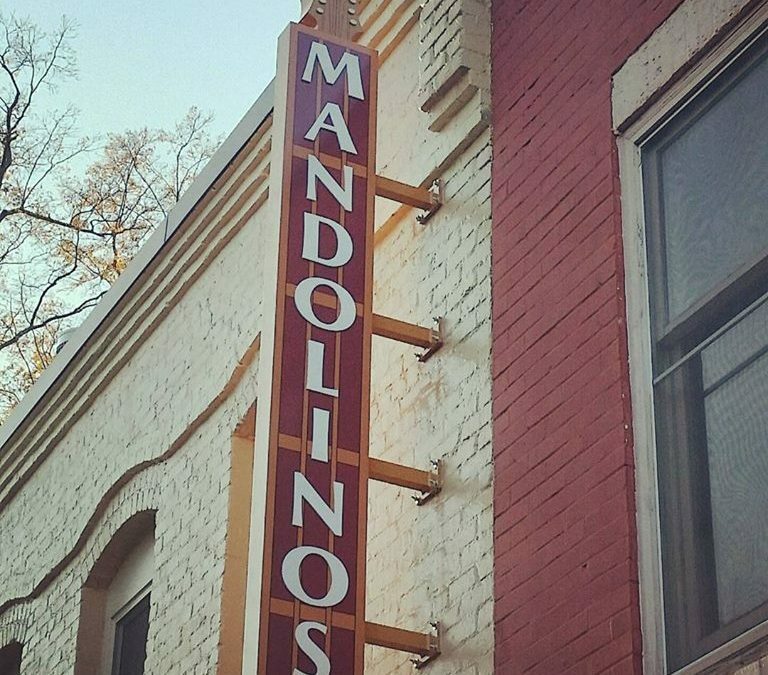 I’ll tell you a little bit about our newest adventure – Mandolino’s (Flatiron’s sister restaurant). Michael Orlando is one of the principal owners of Mandolino’s, as well as a gifted musician, most notably a Mandolin player. I, myself, grew up in New York eating every kids favorite food, Pizza. I fell in love with Grandma style pizza which was invented on Long Island. Grandma Pies are rectangular in shape and have a great dough with a bit of crunch. My brother in law, Nick Angelis, perfected this pie at his NYC restaurant Adrienne’s Pizza Bar, which the New York Times says “is the best in New York City”. I approached Mike with the idea of opening an Artisan Pizzeria and the conversation started. Mike Orlando, Jason Tognarina, (GM/ Managing Partner) and myself began looking for a good name for the restaurant. We brainstormed and really couldn’t nail it down. One day in a casual conversation Mike said “How about Mandolino’s, Its Italian for Mandolin”. Boom!! There it was. Perfect. So, the idea of tying in the musical influence and a Family Pizza recipe got the dough ball rolling! That’s the story. We look forward to introducing to you what we are so passionate about! Join us for daily lunch specials for just $12 – including a drink! Every day we're serving up lunch specials for just $12... from Turkey Pesto BLTs to Bistro Steak Melts or Fried Haddock Po Boys. Bring just you, or bring the work crew! Parking is available at the Davidson Town Hall or along South Street or Main Street.